BMW i3 - What’s up with tire life? Home / Models / BMW i / BMW i3 – What’s up with tire life? 21,000 miles and your tires are toast. This is common with ultra high performance tires on M3’s and the like. But on a 2,800 lbs ultra efficient all electric i3 with all seasons? Yep. Toast. The tip-off that these were totally worn was some serious hydroplaning during a mild rain. I checked the wear bars and measured tread depth. 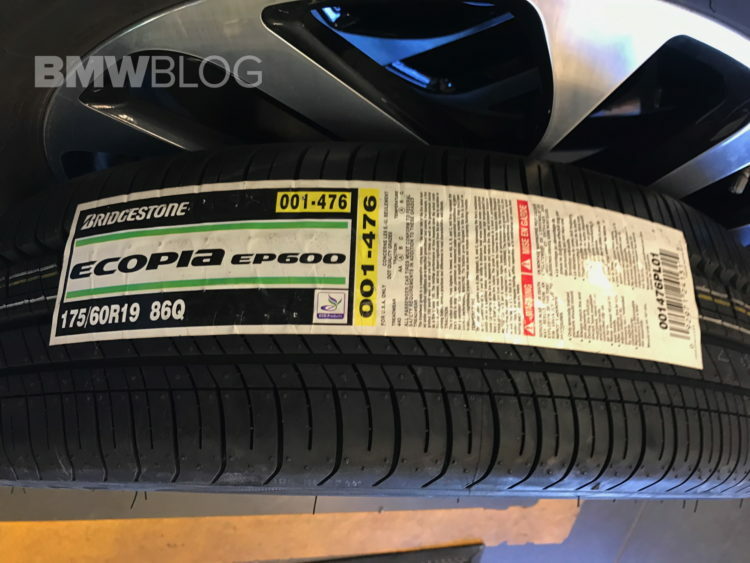 At the deepest part, the 2014 i3’s Bridgesone Ecopia EP600’s had 3mm’s left, and on the insides of the tires, the tread was completely bald. 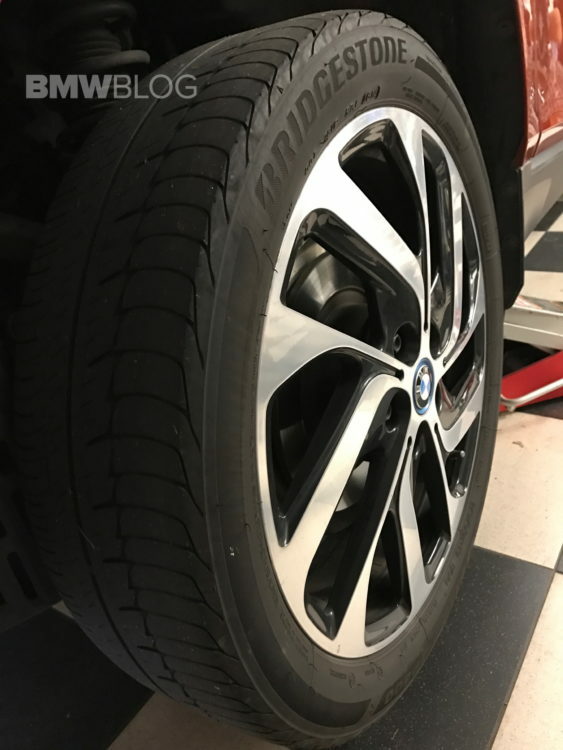 The i3 has very unique tires that were co-designed with BMW and Bridgestone to allow for electrically efficient, low rolling resistance. Despite this, they manage to handle well. The excellent handling is part of the nature of the 155/70/19 and 175/60/19 with its tall and narrow size with long contact patch. The i3’s specialized application and required size means Bridgestone has the market cornered currently, there are no other options when it comes to replacement. The other part that is really rather confounding with the i3’s short tire life is that we run winter tires 2-3 months a year on a separate set of wheels. I am a huge proponent of snow tires. If your i3 has the 20 inch wheels and the performance summer tires, you really need a set of snow tires if you have to drive in the snow. 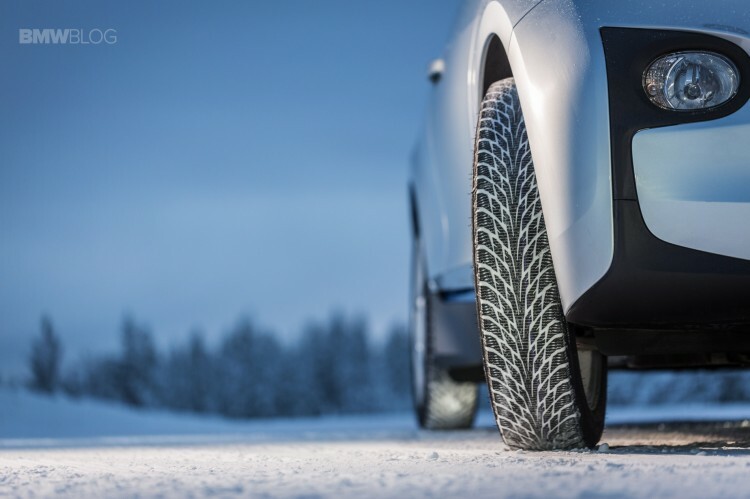 You can get through some snow with the i3’s 19 all-seasons, but snow tires will give you better stopping distances and grip in the white stuff. Now for the next twist. The i3’s unique tire means it is incredibly hard to find. The two BMW dealers in my town, don’t even stock them. On a Friday afternoon, the dealer said they could have them shipped in by Wednesday. However, Tirerack’s website listed them for $30 less per tire, I clicked and paid for a set. Then literally 5 minutes later, Tire Rack called and said they don’t have anymore in-stock and was I okay to wait to 5 more weeks till mid-January. Walmart’s website shows them but also back ordered, Amazon had the fronts but not the rears. Next, I checked with two more local tire shops and no dice. NTB recommend I contact Bridgestone directly. So I headed to a local Firestone which is owned by Bridgestone. Bingo, they didn’t have any in town but could get them by Tuesday. It is a bit surprising that the i3’s all-season tires wear out so fast. 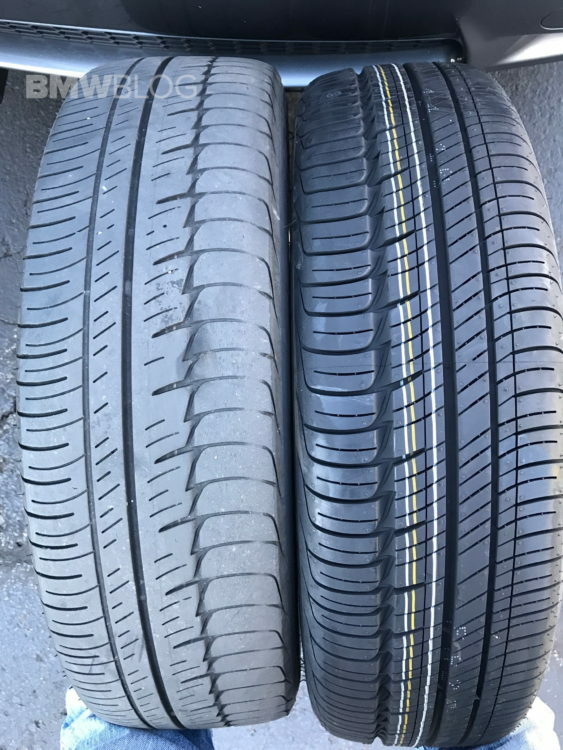 Our experience is not unique as reviewer on Tire Rack noted “15,000 miles of average style driving and these OE tires are done.” On similar driving on all seasons with our BMW X3 we routinely get 45,000-50,000 miles of use. The instant, hard to resist, electric torque surely plays a large part in the premature death of its all-season tires. So it seems the old adage goes – YMMV – your mileage may vary rings true. However, when it comes to tire life on the i3, it seems that tire life is going to be short.